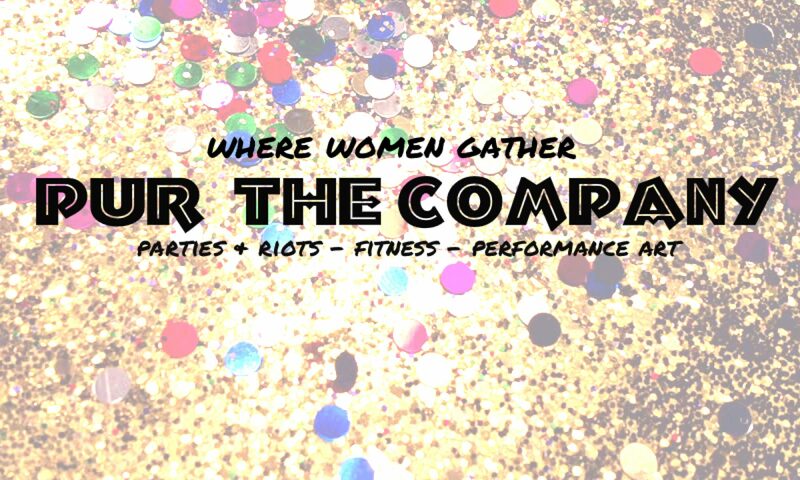 Pur | The Company is infamous for their bachelorette parties in Indianapolis (HQ) and we now offer parties all over the US. We just adore throwing parties for brides, birthday badasses, or to celebrate something special… and we love nothing more than to add one more layer of special to your event! Our parties go far beyond the bar scene… from onsite makeup artists… to wardrobe trunks filled with frills… from pastie making naughtiness (think tassels) to smokin’ hot moves that you’ll be eager to show off on the dance floor. All you have to do is show up! We tailor your party to your tribe. You can chose from our signature burlesque events which everyone raves about or maybe you want a bombshell event that rivals a Victoria’s Secret fashion show?… Tell us more about the guest of honor and let us create something totally custom. We can teach your group a signature Pur | The Company routine or, we will choreograph something just for your group! We are a mobile business…. so let us help you secure a dance studio, propose an awesome hotel suite… give you the 411 on a great airbnb rental… introduce you to our nightclub partners… or shoot, we can just show up to your home for a more private experience. We seriously can’t wait to give you something to brag about! Package includes | two (2-3) hour party | Burlesque Dance | Social time | False Lashes, Brows and Lip Makeup | Pastie Making | Swag Bag for guest of honor | one (1) group photo. Package Includes | four (4-5) hour party | False Lashes, Brows and Lip Makeup | Hair Styling | Swag bag for the guest of honor| Social time | Photo package – includes five (5) fully retouched and edited photos per guest in one boudoir or favorite outfit | two (2) group photos. Message us at purthecompany@gmail.com and ask us about your date and give us some details about your group. ARE YOU LOOKING FOR AN AWESOME LITTLE GIG? Pur | The Company is now looking for Pur Ambassadors who want to host our swanky little parties in their own cities! I know… we are pretty excited about it too! We love our lifestyle… It’s one part glitter… and two parts empowerment baked into one badass offer that women have been devouring for over seven years in the Midwest. Now, you can offer it in your city! The catch… to keep our brand aligned with our mission (authentic love of women as their own boss-babes) and to help each woman succeed…. we are only allowing for ONE Ambassador per city. Yes, that means if this company speaks to you… don’t wait! Opportunity is limited. We offer an amazing startup package along with tons of personal help! We give you everything you need to start your business… lots of marketing support an AMAZING commission plan and we even handle all the transactions so you’re not having to “ask for money.” We pay you as an independent contractor after each party. Easy Peasy! Our current team is awesome… and we really take pride in who we bring into this business. Environment is EVERYTHING. We are women who adore one another… we do not compete… we create. Period. We all understand that this is how we reach success. If this sounds like a tribe you need to vibe with… read on…. And as we go…. there will be so many other extras. As the owner of Pur | The Company… I take massive pride in creating beautiful experiences for others, I always have. It’s been at the heart of every party, show and gig I’ve ever put together or created. My goal, is to share that love with others… who need a little more glitter in their life… within a girl mafia of sorts that loves to make that look good! There is a reason they call us the glitter mafia! If you are interested in joining us… please send us an email and let’s talk about your city! Questions for Pur | The Company? Just a little Naughty Note… to let you lovely ladies know, we have goodies in the store! Our Black Halter Bra Collection is in… and you can go check them out below!